The Parque De Malaga or Malaga Park encompasses 33 hectares and showcases a number of sculptures, botanical gardens and fountains in its vast green space. 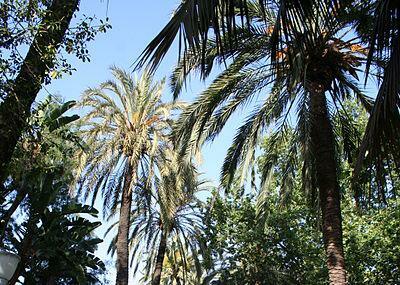 The park is sandwiched between the Plaza de la Marina and the Plaza del General Torrijos. Fitness enthusiasts with get to explore the park delightfully by accessing the 3 nature walks, each of them spanning 800 metres. The north and south section also has a few nature-walks of small distance. Nature lovers will love to explore the orange orchard, rose garden and cypress grove. The botanical garden consists of Renaissance and Baroque styled landscaped gardens with flora from the five continents. The sculptures like Fountain of the Three Graces and Nymph of the Pitcher are noteworthy. Beautiful park in the centre of Malaga near the port with lovely palm trees, fountains, quirky sections and lots of species of plants. A quiet haven. Worth a stroll through! Lovely park in the city center in close proximity to the port. The park is very well maintained and equipped with a large number of benches. The park has a lot of exotic vegetation, you can also find green parrots. My favourite European park. Plenty of sun most of year. Great selection of beautiful plants and trees from equator. Pretty water features. Open air concert area.Loads of excitable green parakeets. Nearby giant ferris wheel, bull ring and tapas bars. Christmas market. Calm.